Augmented reality seems to be ubiquitous recently and most commonly associated with gaming technology, but when we zoom out, AR has the capacity to positively influence a number of industries, one being healthcare. So what is AR? Well, we take a real-world image and superimpose it with a computer-generated recreation, and in doing so we gain an enhanced understanding of it. The virtual layer can be anything, text and audio enhancements, pointer and blurbs, guiding users through a real-world situation or landscape, and most technology has AR viewing capabilities. This includes cell phones, tablets, portable projectors, and laptops. 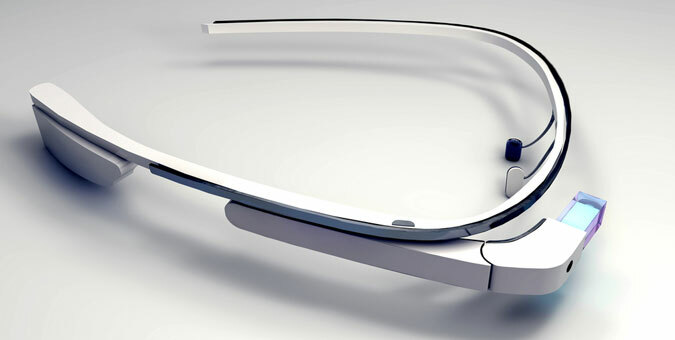 Though we're most familiar with these technologies, head-mounted displays (HMD) are by far the most intriguing. There's a futuristic, robotic vibe to them, people can't seem to look away from, and surprisingly they've proven themselves as the most practical AR viewing experience in more situation than one. 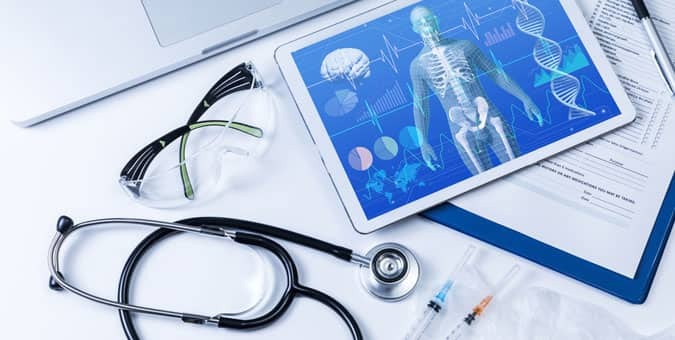 AR has certainly piqued the interest of healthcare professionals and providers after many realized the profound influence it will have on the future of medicine. Not only will AR revolutionize telehealth, but we will also see AR tech incorporated into rehabilitation, treatment methods, and chronic care routines. The applicatory potential of augmented reality technology within the medical field is limitless. Though all applications of AR are compelling, Chetu experts predict the surgical application of AR will be truly life-changing for patients and surgeons alike. For decades surgeons have split their attention between their patient and an LCD screen providing a magnified capture of the procedure. However, it has always seemed counterintuitive that surgeons have to look away from the actual surgical site, in order to look at the monitor, especially during high-risk procedures where there is a greater chance of something going wrong than anything going right. In an era of transplants and genome editing, it's difficult to understand how some patients still aren't making it out of surgery. 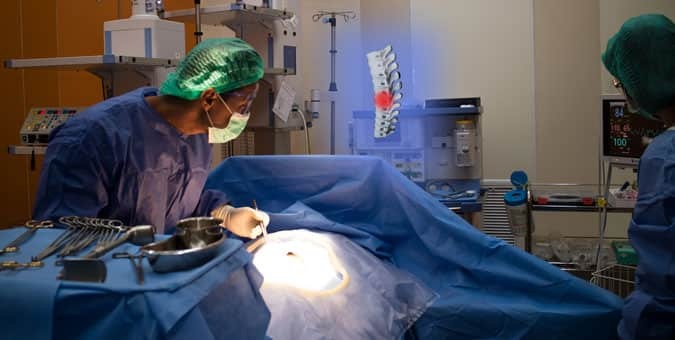 Augmented reality opens new doors for surgery by improving education for young doctors and providing surgeons with a more functional platform to zero in on their micro-movements. AR applications enable medical professionals to recreate real-world images of anatomical structures virtually, an image they can then project onto the surgical site in real-time using the HMD technology. Essentially this is a form of data visualization—a high-resolution projection of patient vitals and other relevant information that the surgeon would normally have to divert attention to obtain. There is some concern as to whether the display is a distraction, and in order to combat this, the newest HMD are programed with voice command functionality. This gives doctors the capacity to opt out of the AR experience at any point during the procedure, and facilitates a sterilized environment, aligning with medical facility protocols. The surgery applications of augmented reality tech are still in the works, but AR use in medical training is well on its way to widespread integration. We have the most to learn when we are learning from the best, and AR makes learning from the best possible by overcoming geographical, socioeconomic, and cultural barriers. The fusion of computer generated images and real-life happenings take training simulators to a level unmatched by any technology of the past. Medical students can undergo the stress of mid-surgery mishaps and experience the pressure of reacting logically in unfavorable scenarios without real-life implications. Veteran surgeons have the ability to co-operate with resident surgeons remotely, providing them with feedback and guidance in real-time. One case study indicated that the transmission between collaborators using AR technology is effective, functioning with only 237 milliseconds of latency. In other words, there is zero to no lag time, allowing the brightest minds to collaborate on difficult operative procedures. Though most commonplace devices serve as a medium for AR software-to-user transmission, the success of the AR movement is contingent upon the quality of software and the intelligence of its image recognition, motion processing, and sensory intuition mechanisms. Healthcare providers interested in exploring the the broad functionality of augmented reality software are well-served locating developers with industry-specific experience and a portfolio populated by AR successes. Chetu leverages an extensive repertoire of healthcare experience-out of 20+ industries Chetu services, healthcare is among the top three. We outfit medical providers with software that complies with all regulatory standards and saves lives by improving efficiency and eliminating risk. Our AR solutions seamlessly collaborate with 3rd party applications and are engineered with geometric, facial, gesture, voice, and object recognition capabilities, a model well-tailored to the medical field where the real-world image is continually evolving.